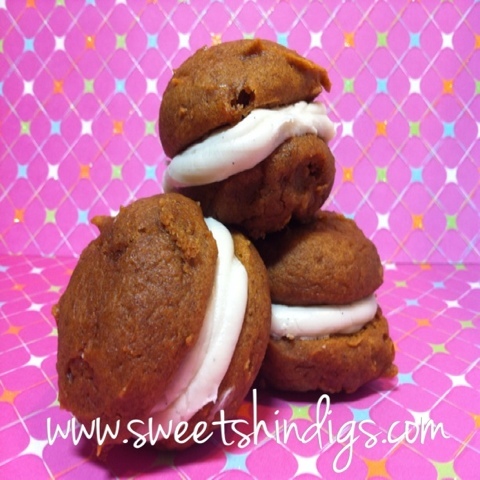 Pumpkin Whoopie Pie with Maple Cream Cheese Frosting. These are $2.50 each. Minimum order is one dozen.